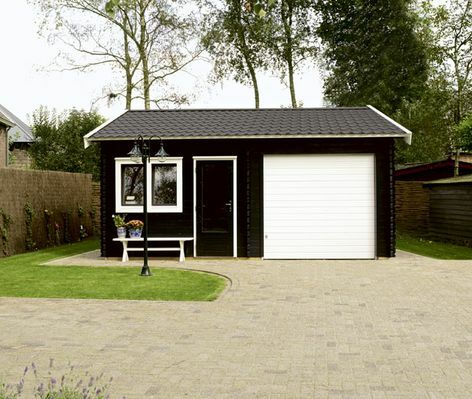 Lugarde Birmingham, a super garage with a built in cabin or workshop. So versatile its uses are endless! Size approx 5 x 6m. Available in 44 or 68mm log thickness. 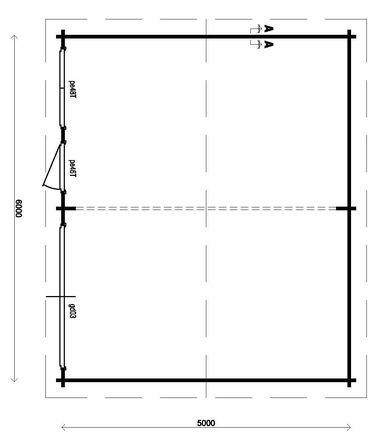 The standard package includes 1 double tilt & turn window PE48 (inwards opening), 1 single door PE46 and 1 sectional door GD03 which is electrically operated and includes 2 remote controls. Door and window are double glazed. Delivery - approx 8 weeks.